Ever since I was little, chocolate mousse has been one of my favourite desserts ever, especially the home-made one! I'm always trying to find new recipes to share with you that I've attempted and fell in love. 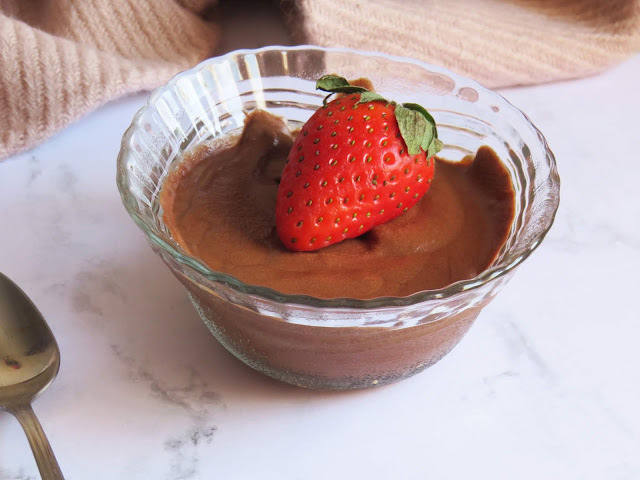 One of my favourite desserts of all time is chocolate mousse - and let me tell you that I've eaten a lot of it when I was young - especially when it's home-made! The flavour doesn't compare with the store one! I recently discovered this amazing recipe and after I tried it I was amazed how delicious it was! Start by placing a sieve over a medium sized glass bowl and drain the canned chickpeas. 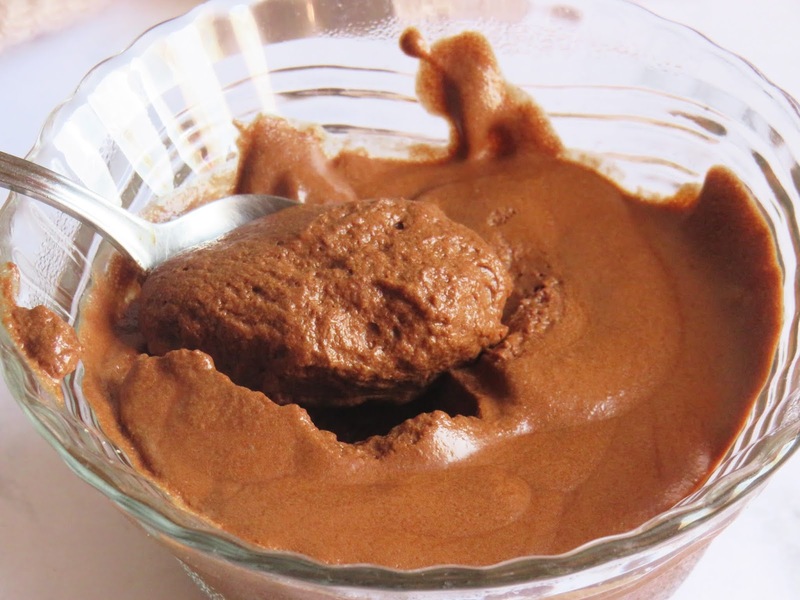 Measure 120 ml (or ½ cup) of aquafaba and place it into the fridge to chill for 15 minutes. 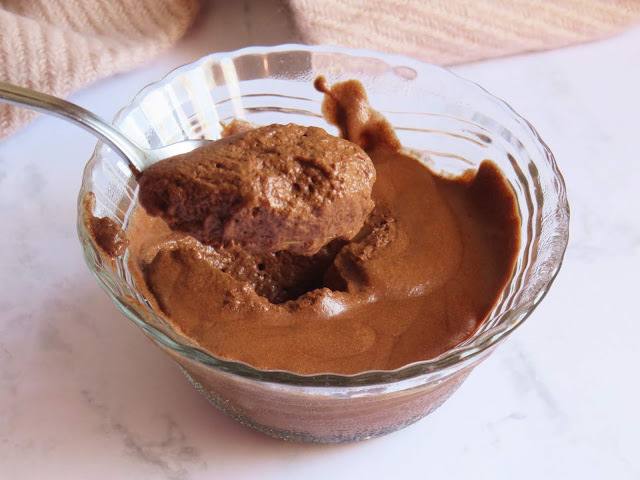 While the aquafaba is chilling, melt your dark chocolate in a water ban Marie and set aside to cool down to room temperature. Take the bowl with aquafaba out of the fridge and with an electric hand mixer beat the aquafaba on high until you start seeing stiff peaks forming. Note! 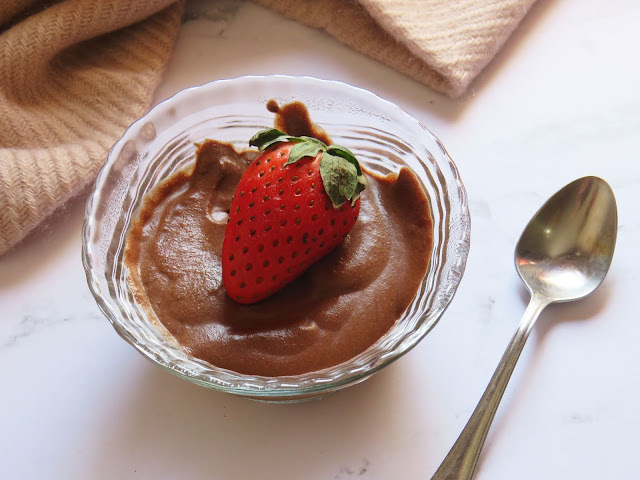 This can take anywhere from 5-10 minutes (you can’t overbeat aquafaba so don't worry!). Add in the maple syrup and beat for another 1-2 minutes. 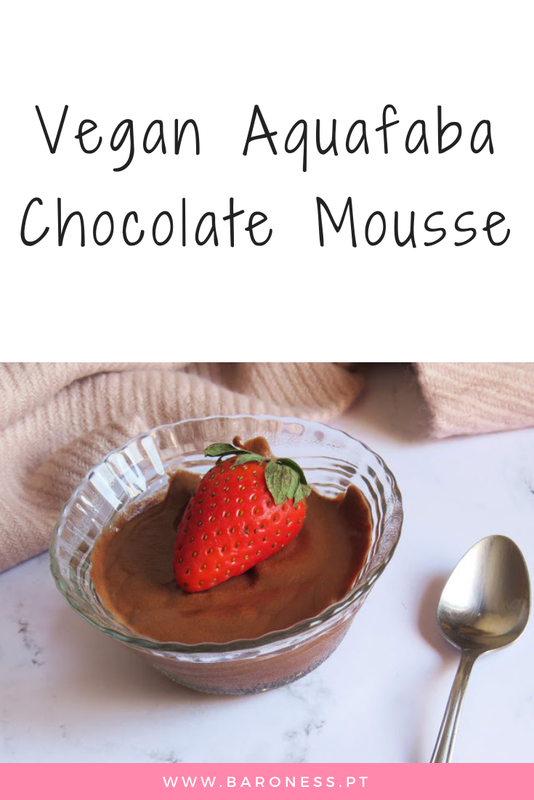 Pour the cooled down melted chocolate into your aquafaba mix and carefully use a spatula to combine. If you use the mixer you'll lose all the fluffiness. 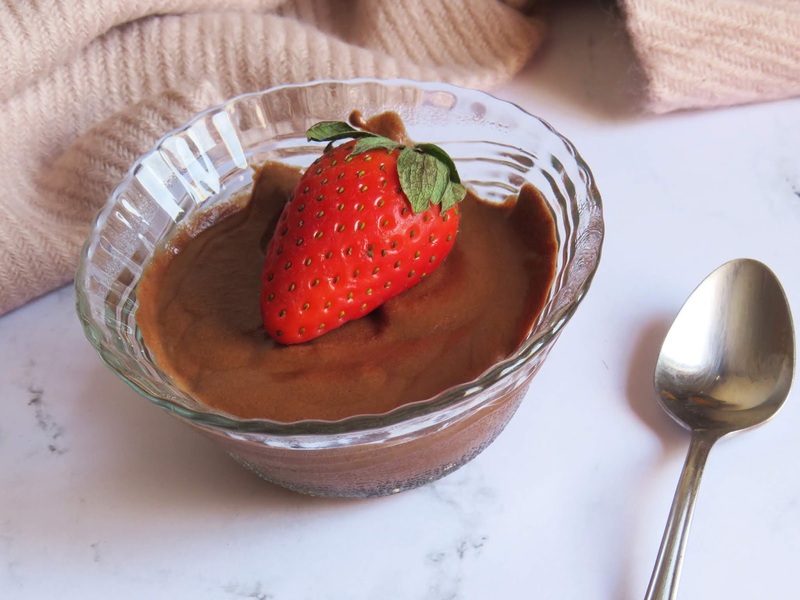 Spoon the chocolate mousse into 4 small serving bowls and place into the fridge for at least 1 hour (Better results: 3-4 hours). You can now experience this amazing dessert!